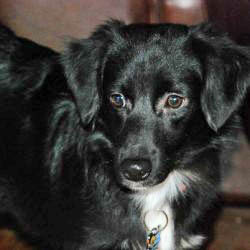 Heather is a 1 year old border collie mix who originally came from Puerto Rico. She is a very sweet girl who LOVES other dogs! It does take time for her to warm up to people but she is making great progress in her foster home. We would love to send her home with another dog to help her come out of her shell. Please contact the Monmouth County SPCA if you are interested in meeting Heather so we can set up a meet and greet. She is in foster. Next post: New to River Run … Overnight Pet Sitting!